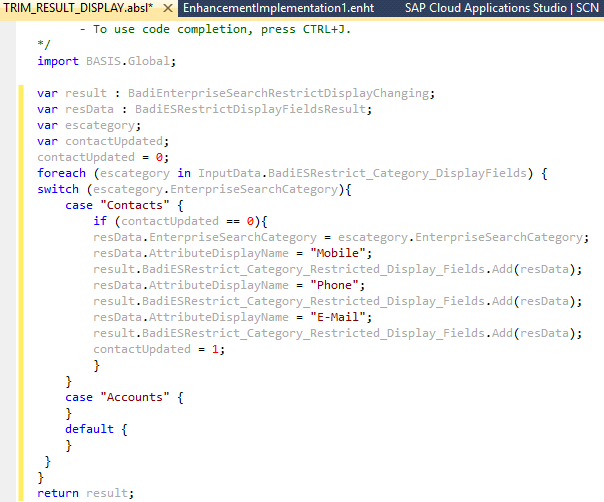 Here is a preview of what’s coming up with 1611 release of SAP Cloud Applications Studio. 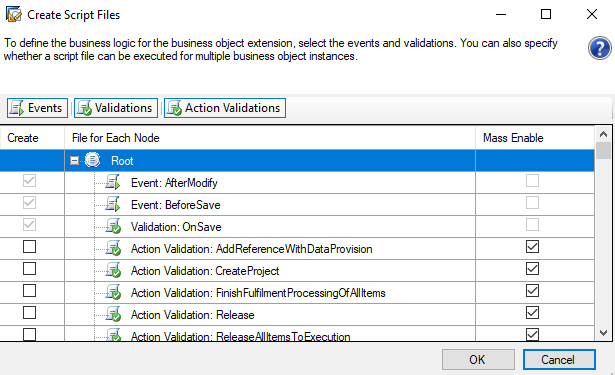 AfterLoading Event for XBOs: SAP Cloud Applications Studio 1611 supports creation of AfterLoading event for extension BOs (XBOS). Till 1608, the AfterLoading event was supported only for Custom BOs. The AfterLoading script is executed during the loading of the UI screen when the system reads a node instance of a business object. In the Create Script Files dialog box, select the Event:AfterLoading. The Event-AfterLoading.absl file is generated. Implement the business logic in the generated .absl script file. At runtime, when the UI screen corresponding to the XBO is loaded, the AfterLoading script logic shall be executed. Note: This feature is not supported for all the standard extension BOs. Refer Studio help documentation for list of supported BOs. A new function GetAssignedBusinessRoles is added to the ‘Context’ reuse library. This function retrieves all the assigned business roles for the logged-in business user and returns a collection. The collection supports GetFirst(), GetLast() and Count() functions. GetFirst() – Gets the First assigned business role from the collection. GetLast() – Gets the Last assigned business role from the collection. Count() – Gives the count of the assigned business roles. Here is a code snippet on how to use the api. A new AccessContext ‘SalesOrganization(9001)’ is introduced in 1611. Till 1608, only the accesscontext ‘Employee’ and ‘EmployeeOrTerritory’ was supported. 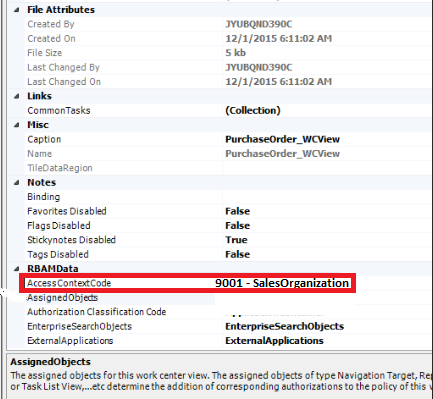 Now with the new ‘SalesOrganization(9001)’ accesscontext, the access to the instances can be restricted based on the sales organization of the employee in the organizational hierarchy. Code snippet to use in the ABSL. Note: This new accesscontext is available only for C4C. A new Enhancement option, BADI Implementation is introduced to restrict the display of certain fields like mobile, email etc in the Enterprise search results based on the category. Below are some screenshots on how to create the Enhancement Implementation. This Enhancement option can be used to implement rules to hide the result data display. Below is the code snippet. 1 remark :”AfterLoading Event for XBOs” could be more useful if it was also allowed to define a “Transient” field in XBO. Is it also included in the pack..? Thanks for the feedback and I would like to inform that the ‘Transient’ field in XBO is not included in 1611 but planned for the upcoming release. Could you please guide me where can I download the SDK 1611. I couldn’t find this in the software section in SAP marketplace. I have build some solutions using 1608 and I am now unable to open this since the tenant has been upgraded to 1611. Contact your BASIS Team, they will help you in getting the new release. I’m trying to work with the badi EnterpriseSearchRestrictResultDisplay , and replicate your example, but this not work. I didn’t get to debug it when I execute the search. It is possible that I have to do any aditional configuration ? I want to add AfterLoading event in Salesorder extension,but unable to find it in script list. Attached the screenshot. Can you please let me know what is missing.